So, now you’re probably saying, cut to the chase, Rachel—tell me how to make this happen! Here are three tips that I would recommend! 1. Make a clear shot list and give it to your photographer. Think of every possible photo that you could want and write it out. Your photographer also has a standard group of photos that he or she will capture at every wedding (ie the bride and her mom, the bride and her dad, the brides immediate family, etc. ), and can help guide you in making your list. Remember that during family portrait time, each combination of people can take about five minutes. If you find that you have a lot of images you want, but can’t quite fit them within the designated timeframe for portraits, ask your photographer to get some of those other family photos during the reception when there is a bit more down time. 2. Designate someone from your bridal party or a close family friend to direct people. Your friends in your bridal party or a close friend in attendance likely know a lot of your family, so ask them to help coordinate people! 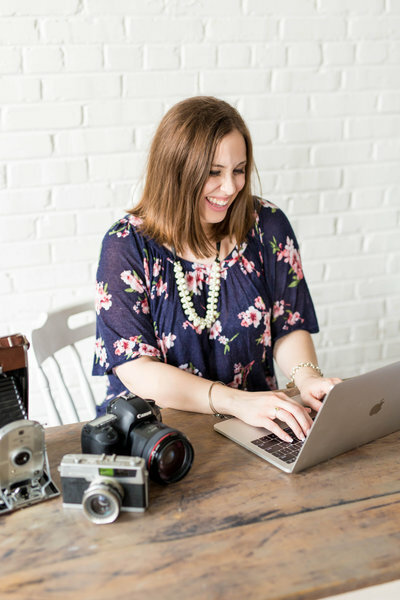 Print out an extra copy of the shot list you have sent to your photographer and give it to your maid/matron of honor, another bridesmaid, or a friend. 3. Schedule some time before the ceremony to capture some family portraits. Your family will be excited throughout the day, but there’s something about the time after you say, “I do!” that has everyone even more amped up and excited! Because of this, family portrait time can be a little difficult to coordinate. Family members will be saying hello to those they have not seen yet that day, they will be congratulating your parents, or trying to come up and hug you! All of these are GOOD things, but can cause some stress when you’re trying to get photos done so that you can go get food and get to the party! Scheduling time before the ceremony will give you some extra time to enjoy your family’s company without feeling rushed to get to the reception. If you choose not to do a first look, you are probably wondering if this isn’t for you. But it can be! Ask your photographer about capturing individual groom family portraits and individual bride family portraits before the ceremony. Then, after the ceremony you can do the combined portraits with both families! I hope that some of the ideas will help you as you work with your photographer and planner to schedule the timeline for your wedding day. Make sure that your family knows exactly where they need to be an when, and apply some (preferably all!) of these tips, and I promise that this part of the day will turn out to be fun rather than stressful! Write down one name per index card for each person who will be in any of your portrait combinations. Next to the person’s name, write down every number for each combination’s number that he or she is in. Give that to them on the wedding day. Give your photographer your numbered shot list. Now, your photographer will call “Group 1!” and everyone who has a “1” written on their index card will come in for the picture. Next your photographer will call “Group 2!” and everyone with “2” on their index card will be in the next picture, and so on and so on. Isn’t this an awesome idea! If you use this on your wedding day, let me know about your experience! I’d love to hear from you!